Google recently announced that having SSL everywhere improves your search engine rank, so Vin65 now has a new setting that allows for SSL everywhere. We've turned on SSL everywhere for our own website - and we are encouraging you to do the same. Reach out to our support team (support@winedirect.com) to turn on SSL everywhere, check your site, work with support to resolve issues - and then know that you're in a more secure place. What Happens After The SSL Everywhere Feature Is Activated? Step 1: Right click in your browser and select view page source or inspect element. Step 2: Then use the search function (Control + F) for http://. Please Note: Hardcoded content would need to be reviewed and corrected by a designer. You can find a list of our certified third party designers here. 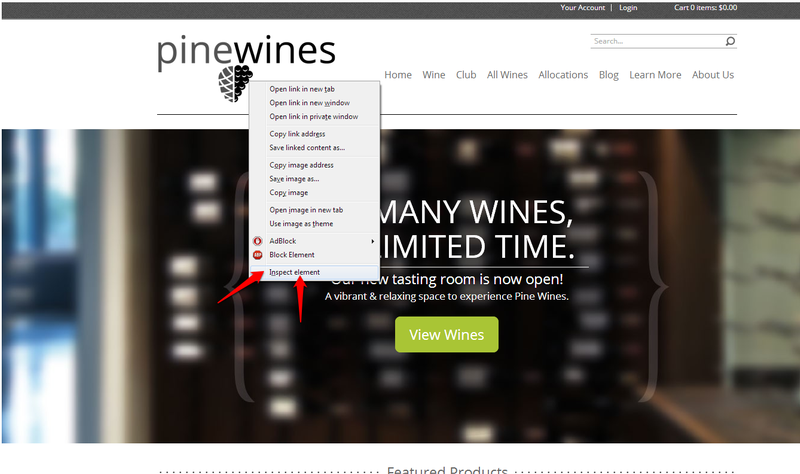 Contact support@winedirect.com for further assistance.